Freshen up the look and feel of an old garage with the help of Garage Floors 1 Day. Beyond epoxy floor installations, we offer our clients professional drywall repairs and replacements to help transform their dark and dingy garages into stunning showrooms for their cars. From top to bottom, our team will make sure that the interior gets flawlessly finished and ready to house your vehicles, tools, and anything else in your garage. Don't let your rooms become an old, dirty mess when our team provides stunning results each time. Showroom-style garage floors deserve better accompanying drywall. Contact us for your best repairs and installations today. It doesn’t take much to cause damage to your drywall. One slipped elbow or hammer can leave an unsightly hole in the drywall of your garage. Other common issues include mold growth and water damage. These problems not only keep your garage looking awful, but they can impact your health as well. Let our team assist you with your drywall repairs and replacements for quality finishes at affordable prices. 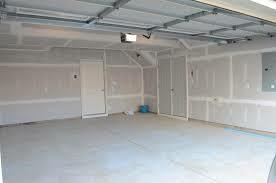 We refinish your garage to ensure all blemishes get completely erased. From new construction drywall installation to replacement services on existing walls, our contractors always ensure that the final result meets our standards. We stand behind our work and provide consistently exceptional services regardless of the job’s scope. When it comes to your garage drywall installation, we achieve the same level of excellence as we do with our epoxy floor coatings. Contact us for your best garage drywall services today. Your time is valuable, which is why our company will always minimize any disruptions to you when assisting you with your garage flooring or drywall needs. Our team works fast and efficiently to complete each job. Our speed comes from years of experience rather than shortcuts. You be sure that our finished quality will never leave you disappointed. Garage Floors 1 Day is an established contractor offering a wide range of epoxy installation services for residential, commercial, and industrial settings. We are known for our superior epoxy garage floors, as well as various other service needs. 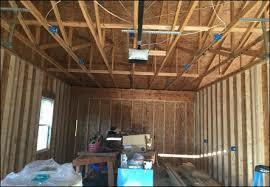 Our team provides professional drywall installations and repairs to refinish and enhance your garage. From floor to ceiling, we offer a complete makeover for your garage to ensure lasting safety and comfort enjoying hobbies, projects, and daily use. Contact us for more information about our garage drywalling services. Garage Drywall is used to face your interior walls and ceilings in your home, and it hides your plumbing, wiring, insulation and the framing of your home too. Drywall is often the final items installed during construction, as well as a frequent need for your remolding project, additions, and maintenance. However, if not installed correctly, it’ll remain an eyesore until its corrected. Garage Floors 1 Day is your garage specialist in Southern California. We excel in residential drywall services for your garage, including installation, finishing, and repairs for both new construction and remodeling projects. Did moving furniture puncture a hole in your walls? Are kids horsing around damaging your drywall? Why Choose Garage Floors 1 Day for Your Drywall Needs? When you choose the partners of Garage Floors 1 Day & Rob Serino Construction Team for your drywall installation or repairs, you are hiring a small, family owned and operated local provider. We pride ourselves in the level of finished quality, and you can see this for yourself by viewing our portfolio.